Paul Ryan's selection as Vice President signals the changing of the guard in so many ways. Ryan's expertise on the budget allows him expertise in many areas, including health care. If you want to know how Ryan can play on the big scene as a 42 year old, just look at his exchange with Obama on Obamacare during a White House meeting in which he obliterated Obama's prized accomplishment in just six minutes. The look on Obama's face stated it all as he simply knew that he was out of his league with Ryan. Ryan’s selection means something else. While much of the conservative media focus was on how bold this choice was and that it means an adult conversation on the issues, adult conversation on issues is a rarity in politics. If you are looking for the existential discussion on the meaning of life and the Constitution, forget it, but there will be those moments like in February of 2010 during the health care discussion with the President when Ryan’s substance will become obvious. This will show up during his Vice Presidential debate with Joe Biden, who has shown that 30 plus years in the Senate and nearly four years of Vice Presidency does not always translate into gravitas. Another meaning of Ryan is a return to a rational bipartisan economic policy. What is often missed in most media accounts is that Obama's years were a complete retreat from bipartisan approach that existed in the late 90’s and now is forming once again. Ryan's Medicare plan is not only a step forward to saving the system, but also a variation of bipartisan ideas generated by both sides near the end of the Clinton years. His Medicare bill with a leftist Ron Wyden showed that Ryan can not only put a bipartisan approach together but an approach that leads away from Obama's top down government run health care. 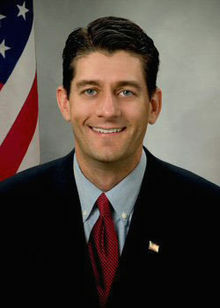 The Ryan budget is similar in many respects to the ideas generated by Erskine Bowles and Alan Simpson. Both approaches call for entitlement reforms, budget restraints, lower the federal government share of GNP plus tax reforms that emphasize lower marginal tax rates and reduced loop holes to ensure a more equitable tax system that rewards risk. There are differences but Bowles-Simpson deficit commission is a rejection of Obamanomics and a return to Reagan economic vision; which is why Obama ceased to pay attention to its proposal when it was released. When a liberal like Bowles and a moderate like Simpson are closer to Ryan than to Obama, can we conclude that it is Obama who is the extremist? Romney is a bottom line guy when it comes to budgets and economics just as Ryan knows the numbers when it comes to the budget. There is one difference between the two, for Romney is not an idea guy and he has difficulty explaining conservative ideas beyond examining numbers. Romney is a bottom line guy, but he views the numbers as one part of a larger idea that government is too big. His ability to explain it to the American people will prove useful to Romney. Ryan's major asset is that he can put a story behind the numbers just as one of his ads in his last congressional campaign showed when he explained his own entitlement reform in a parable style commercial while walking through a grocery store. The final aspect to Ryan is that the Republican Party has been grooming a solid bench with young Turks ready to lead the next generation of Republicans. Bobby Jindal, Marco Rubio, Ted Cruz and Paul Ryan are one part of a new generation of Republicans who are not bound to the past, but are pursuing updated ideas and expounding a 21st vision of free market ideas. The old establishment is drifting past and a new is taking its place as the Tea Party has provided the grass roots to help promote this new generation of leaders. These are men and women who come from modest backgrounds and represent the values of Main Street conservatism. Ryan's selection now opens the door for the next generation; a generation that is already experienced in the world of governing, but now is slowly taking over the Party and redefining what it means to be a Republican.